Are you thinking about Skype and want to try it out? Imaginet's Skype for Business Online 30-Day Proof of Concept allows you to try out Skype for Business Online quickly, and with no risk. 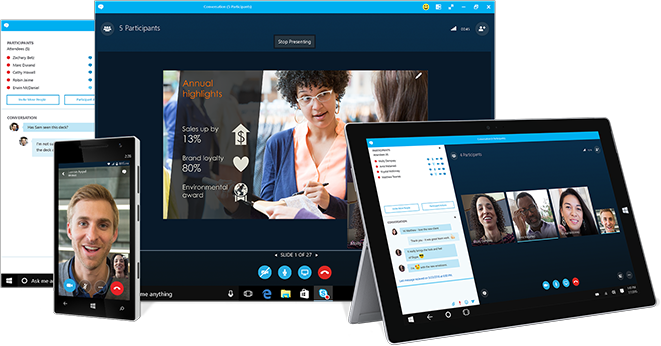 With Skype for Business Online, you can stay in touch with colleagues, partners, and customers by using features such as IM, audio, and video conferencing, making and receiving phone calls, and hosting meetings. Imaginet’s Skype for Business Online Proof of Concept (PoC) allows you to try-out and evaluate Skype for Business Online quickly, and with no risk to see if Skype for Business fits your needs. 30 day Proof of Concept for 10 users. Low risk way of trying out Skype for Business without impacting your current production environment. No obligation to buy or use Skype for Business Online after pilot. Ensure your SfB solution meets all business and technical requirements from Day 1. See our additional Skype services.